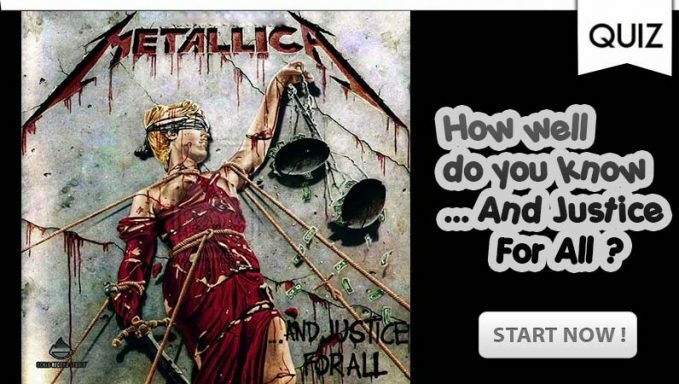 Name the graphic designer responsible for the cover artwork on '…And Justice For All'. Which one of these tracks was NOT a single from '…And Justice For All'? Who is the female character portrayed on the front cover of '…And Justice For All'? The album title '…And Justice For All' is derived from which solemn speech? Which track from '…And Justice For All' incorporated riffs composed by Cliff Burton? 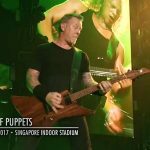 Kirk Hammett played NO rhythm guitar on '…And Justice For All'. True or False? 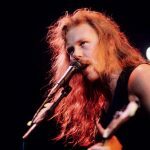 Which member of Metallica came up with the opening riff to 'Blackened'? Which explosive device is responsible for the injuries inflicted on the character described in 'One'? 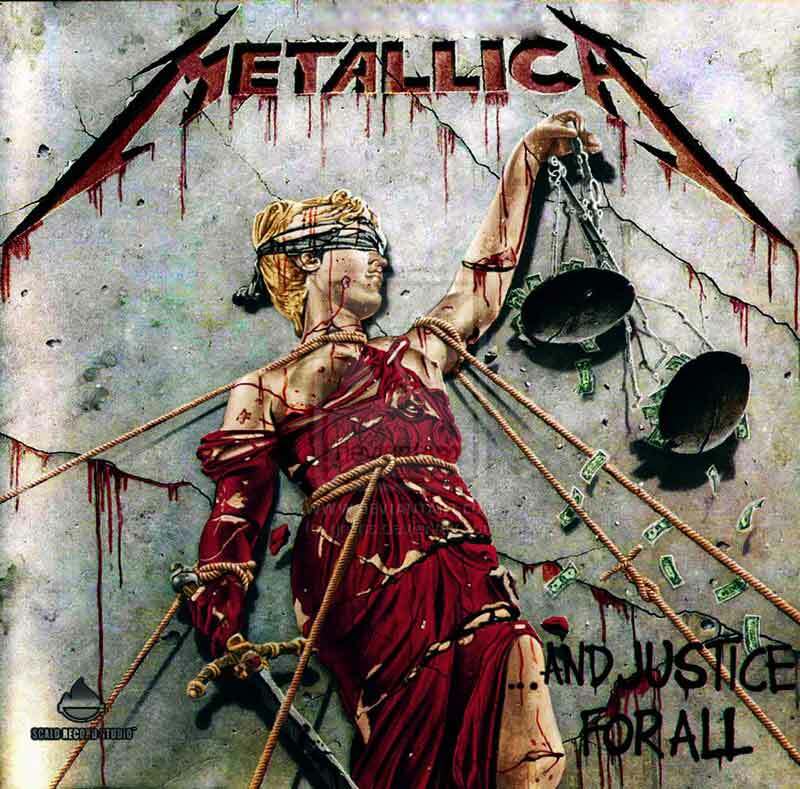 Which track from '…And Justice For All' earned Metallica a Grammy Award in 1990? I think you are a new generation Metallica fan. 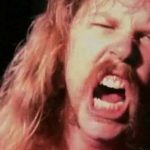 If Metallica Don’t Talk The Band's Fall OutMetallica Have The Worst Time In The World Trying To Perform Their Songs on Guitar Hero - Watch It!